Don Henley is an American singer-songwriter, musician and producer. He co-founded one of the most popular rock acts in history, the Eagles, in 1971. After the group initially broke up in 1982, Henley launched a successful solo career. 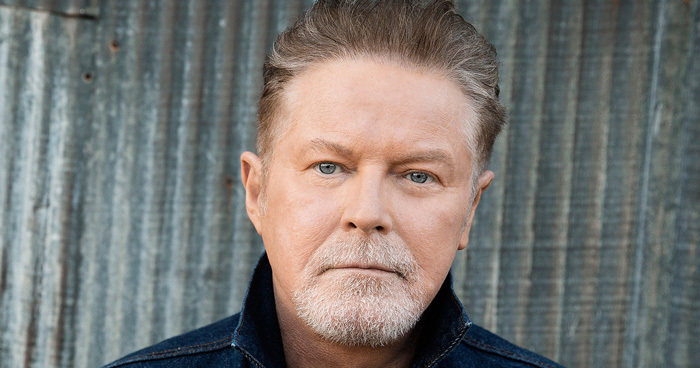 Born “Donald Hugh Henley” in Gilmer, Texas, on July 22, 1947, he was raised in Linden, northeast of Gilmer, where he formed a number of bands with childhood friend Richard Bowden, most notably Felicity and Shiloh. Bowden would later go on to tour with Linda Ronstadt. Henley moved Shiloh to Los Angeles in 1969, in an attempt to align the group among the top acts in the West Coast music scene. This is where he became acquainted with Detroit native Glenn Frey. Henley and Frey teamed up with Bernie Leadon and Randy Meisner and served as Linda Ronstadt’s backup band on her 1970 album Silk Purse. They had formed the Eagles by 1971 and secured a record contract within a few months from Asylum Records, the new label started by David Geffen. Primarily influenced with country-rock roots and the emerging West Coast sound, the Eagles merged folk, rock, and country music with tight vocal harmonies and intricate musical arrangements. The result produced a series of hits that took them to the top of the 1970s’ West Coast country-rock genre. Don Henley had the most critically and commercially successful solo career of any of the group’s former members when the Eagles officially broke up in 1982. He released a number of best-selling albums and remained active in various political and environmental causes, most notably the Walden Woods Project. Don Henley has sold more than 10 million albums worldwide as a solo artist, with eight Top 40 singles and three platinum albums. Don Henley has received numerous awards and accolades as a solo artist. He has won two Grammy awards and five MTV Video Music Awards. Don Henley married Sharon Summerall, a former Texan model, in 1995. The couple has three children together.